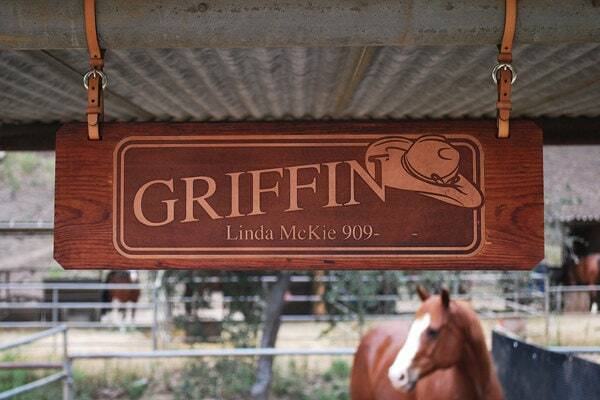 TO ADD YOUR HORSE’S NAME OR CONTACT INFORMATION!! Below the images of the STALL SIGN, you will find a field titled "Request a custom order". In this box write the information you would like on your stall sign. We will email artwork to you for approval before we make your sign. 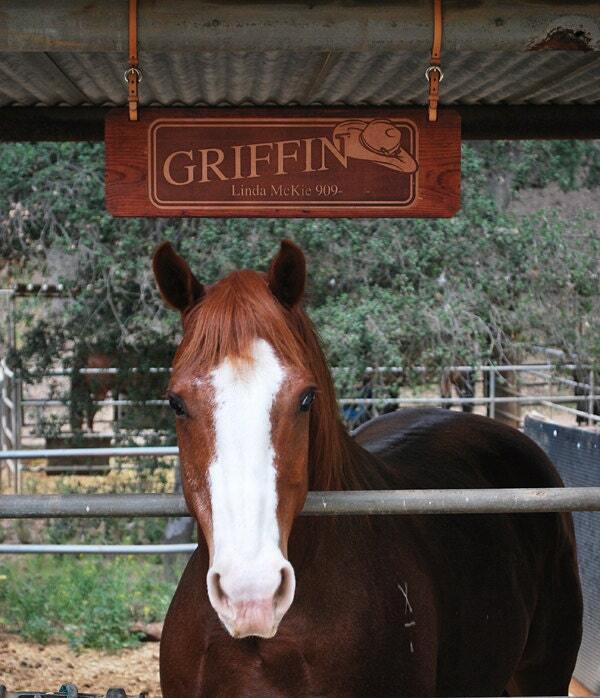 Our stall signs are comprised of laser engraved leather recessed into vintage barn wood. It includes leather mounting straps with either Western or English style buckles. It measures 24” x 7 ½”. We make the length of the mounting straps to your specifications. Each sign is designed to uniquely capture the nature of your horse. In addition to your horse’s name, you can add contact information such as your name, your veterinarian’s name, phone numbers, or a sweet saying. You may choose to use different line art to identify your horse’s personality. If you would like our designer to select line art, include a description of your horse’s unique traits such as breed, tack, specialty, etc. RUHA Leather Products are durable yet gentle, and, if well maintained, can stand the test of time.